In a surprising press release sent out this morning, Pearl Abyss (the South Korean studio known for Black Desert Online) announced that it’s going to acquire EVE Online’s CCP Games, which will continue to operate independently with all its studios (Shanghai, London and Reykjavik). I have been seriously impressed with what Pearl Abyss has achieved ever since I first visited their website for Black Desert Online and subsequently became an avid player of the game. Pearl Abyss is a fast-growing company with lots to offer in terms of technology, capability and vision. I believe our two companies have a lot to learn from each other. We are very excited to join forces with them and achieve great new heights for our companies, our games and – above all – our players. As lead investor in CCP for over 13 years alongside General Catalyst and NEA, we’ve seen CCP go from being a few dozen people strong to employing hundreds all over the world, with an ever-increasing customer base and multiple titles. CEO Hilmar V. Pétursson and his dedicated team have built a company that Novator and its partners are proud to hand over to Pearl Abyss and we wish them the best of luck in their future ventures. Pearl Abyss continues to grow, then. 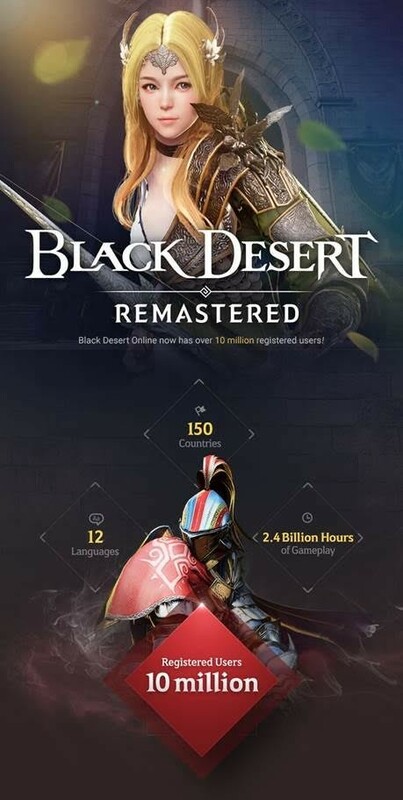 They’ve seen record sales this year between the launch of Black Desert Mobile in South Korea and Black Desert Online continuing to perform well on PC, where it just broke the threshold of 10 million registered users after the release of the remastered update. Black Desert Online is also due to launch later this year on Xbox One, but the studio is also working on additional projects with one of these led by Counterstrike co-creator Minh ‘Gooseman’ Le.